The incumbent government has done a significant service so far and it expects to go forward as a country by identifying its shortcomings, says the Minister of Agriculture Mahinda Amaraweera. 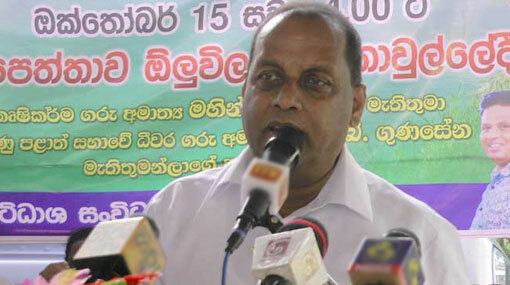 He stated this addressing an event held in Malpettawa, Ambalangoda yesterday (16). He further said that they are being questioned regarding trustee governments and coalition governments these days. The Sri Lanka Freedom Party (SLFP) will not withdraw from the government under any circumstances and will serve the public as a coalition government, Minister Amaraweera emphasized.